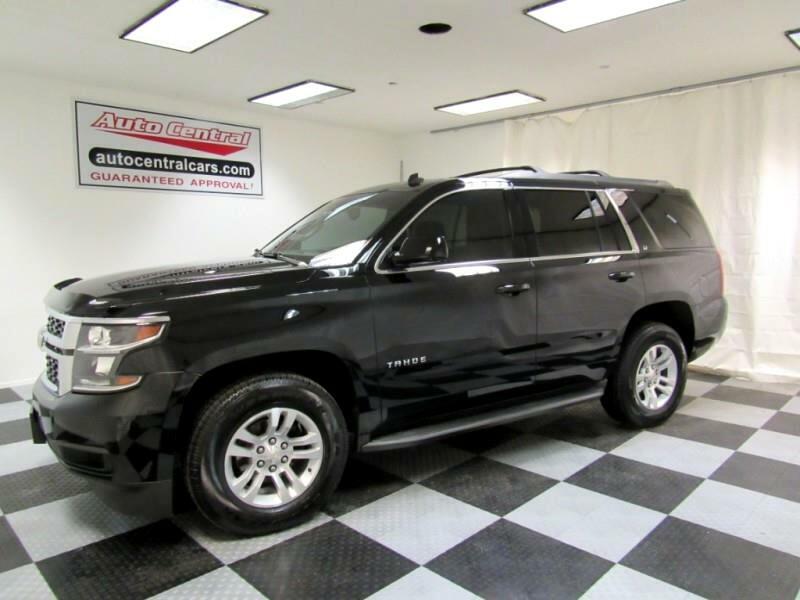 AUTO CENTRAL SALES INC2381 MANCHESTER ROADAKRON, OH 44314(330) 745 – 8810___________________LT Package.4 X 4.8 Passenger Vehicle.Leather Interior.Home Link.Hands Free Communication.Power Lock Doors.Power Windows.Power Mirrors.Power Seats.Heated Seats.Seat Memory.Gas Pedal Adjuster.Parking Assist.Cruise Control.Tilt Wheel.Steering Wheel Controls.Factory A.M. / F.M. Radio.Factory C.D. Player.Power Outlet.Rear Privacy Windows.Rear Bench Seating.Rear Third Row Seating.Roof Rack.Fixed Running Boards.Tow Hitch Reciever.Alloy Wheels.Runs and Drives Great.Very Clean Interior. ** 3 MONTH / 3,000 MILE WARRANTY **___________________WE HAVE SEVERAL FINANCE OPTIONS FOR EVERY TYPE OF CREDIT SITUATION (good, bad, no credit)PLEASE GIVE US A CALL AT 330-745-8810 TO SCHEDULE AN APPOINTMENT OR DISCUSS FINANCING OPTIONSYOU MAY ALSO TEXT AUSTIN OUR FINANCE MANAGER @ 330-808-4316 (if unable to call)OR SUBMIT A CREDIT APPLICATION SO WE CAN GET STARTED ON SECURING A LOAN FOR YOUR NEW CAR!! !WE LOOK FORWARD TO HEARING FROM YOU!!! !THANKS AGAIN FOR YOUR INTEREST____________________DISCLAIMER:SALES TAX, TITLE, LICENSE, REGISTRATION FEE, DEALER DOCUMENTARY FEE, FINANCE CHARGES EMISSION TESTING FEES AND COMPLIANCE FEES ARE ALL ADDITIONAL TO THE ADVERTISED PRICE.